Judith was born on January 30, 1930, in Budapest, Hungary. She was the only child of Andor and Katalin Kopstein. Andor was a Jewish timber merchant who imported and exported building materials to several European countries, Sweden among them. Judith's family were middle class Jews who lived in an upscale apartment in central Budapest. Judith had a very tranquil childhood right up until the start of the Second World War. She spoke English, German and her native Hungarian fluently. Judith was on the brink of adolescence when the full impact of the Second World War began to be felt by Hungarian Jews. Her family's life changed profoundly as the war carried on. Judith often spoke of how the war had robbed her of her childhood. Her sense of security vanished, not to be fully regained until long after she immigrated to Canada. Judith's family was very fortunate to have been among those families saved by Raoul Wallenberg, the Swedish businessman-turned-diplomat. Wallenberg had been sent to Budapest by the World Jewish Congress, the American War Refugee Board and the King of Sweden to spearhead a heroic rescue mission to save as many of the remaining population of Hungarian Jews as could be rescued. Wallenberg arrived in Budapest on July 9, 1944 to become part of the Swedish Embassy's staff. He designed a document that resembled a Swedish passport, a so called Schutzpass. A Schutzpass identified the bearer as a person under the protection of the Swedish Crown. Judith's family were among the very first Jews to be issued these documents because her father had a close business contact in Sweden who knew of Wallenberg's mission and arranged for the family to be issued their Schutzpasses. Judith's life was spared on several occasions as a result of her having a Schutzpass. During the summer of 1948, Judith went to a camp for Jewish University students. It was at this summer camp that Judith met her future husband, Erwin. In 1953, during Hungary's darkest Stalinist days, Erwin and Judith defied the Communist regime and were secretly married by a Rabbi in a synagogue. This was the beginning of a 58 year marriage and business partnership. When Judith graduated from high school in 1948, it was just after the Communists had seized power in Hungary and university acceptance for a Jewish woman from an upper middle class background would have been a mere faint hope. So with a little creative editing of her application papers she gained admission and graduated with her Structural Engineering degree from the Technical University in 1954. Judith worked at the Industrial Design Institute in Budapest after graduation and later became the head of the Structural Engineering section of the Pest County Engineering Design Centre. 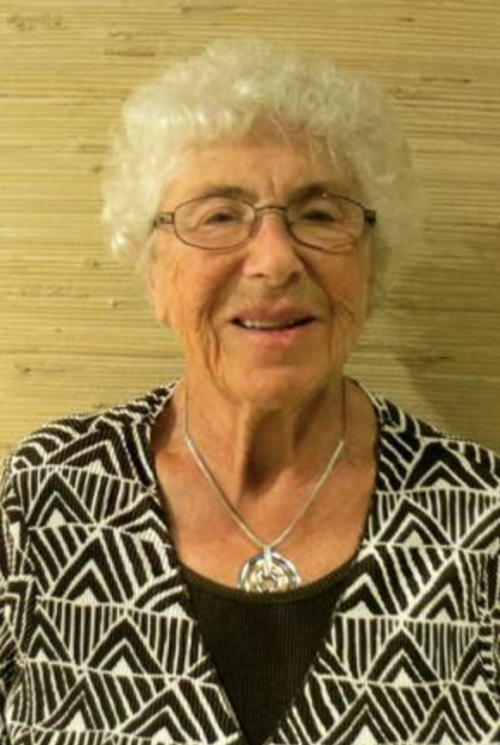 During this time, Judith completed all of the compulsory courses for a Master's degree but was unable to complete her thesis because she and Erwin fled Hungary for Austria in 1956 following the failed Hungarian Revolution. They were both very ambitious and were able to secure jobs in Austria as civil engineers while waiting for their papers in order to immigrate to Canada. Canada accepted them and in August 1957, they arrived in Montreal with two backpacks and a grand total of $70 between them! They became Canadian citizens in 1963. While they began their life in Canada in Montreal, shortly after their arrival, Erwin received an offer from Winnipeg Hydro which occasioned their move to Winnipeg. Judith began working for Smith, Carter Katelnikoff Architects and for Crosier, Krauss and Partners, Consulting Engineers. While they both held day jobs, they moonlighted in the evenings and established Weiszmann and Associates Consulting Engineers in 1959. When Judith applied for registration with the Association of Professional Engineers of Manitoba (APEM) in January 1958, she was advised that the Technical University of Budapest was not on APEM's list of approved universities and she was flatly denied registration. To Judith, this seemed terribly unfair because her university was formerly named the Royal Hungarian Josef Nador Technical University of Budapest which was on the approved list. After seizing power, the Communists renamed the university for political reasons, while everything else at the University remained the same. Erwin's request for registration with APEM had been approved without any question as he had graduated prior to the name change. This was very frustrating for Judith, but like she always did, she just pressed on. So for the next several years, Judith concurrently worked full-time for Weiszmann and Associates while writing six qualifying exams, a thesis and raising a family. When she was registered as a Professional Engineer in April 1969, Judith was the first woman to be registered to practise engineering in Manitoba's 94 year history of professional self- regulation. Judith was always concerned about the protection of the public and committed herself to this goal by serving on the Association of Professional Engineers and Geoscientists of Manitoba's (APEGM) "Safety in Engineering Practise" committee for two dozen years. In 1995, Judith received a Merit Award from APEGM for her pioneering work in the field of engineering. 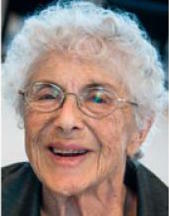 Judith was a life member of APEGM, having been active in membership for 45 years. She was also a "Fellow of Engineers Canada", a national recognition to honour individuals who have given noteworthy service to the engineering profession through their work and volunteerism. Judith pioneered a long service career as a woman in a male dominated profession, paving the professional path for other women in the engineering profession. Over the next 48 years, Judith and Erwin designed a large variety of structures and specialized engineering works, including schools, banks, community centres, airplane hangars, industrial and apartment buildings, churches and synagogues. In 2012, marking the 100th anniversary of Raoul Wallenberg's birth, the Swedish Postal Service issued a commemorative stamp. When developing the stamp, the designer contacted Wallenberg's half-sister Nina Lagergren about the design. 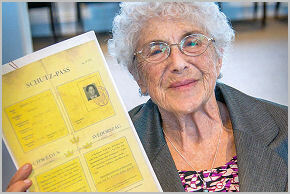 Nina provided the designer with a copy of Judith's Schutzpass, which Judith had given her in gratitude 15 years earlier when Nina was in Toronto to attend the unveiling of a statue honouring her half- brother Raoul. At the time the stamp was created, no one in the Swedish Postal Service had any idea that Judith Kopstein had survived the war. In 2013, Canada Post also issued a Wallenberg stamp featuring Judith's Schutzpass in the same fashion as the Swedes had done. 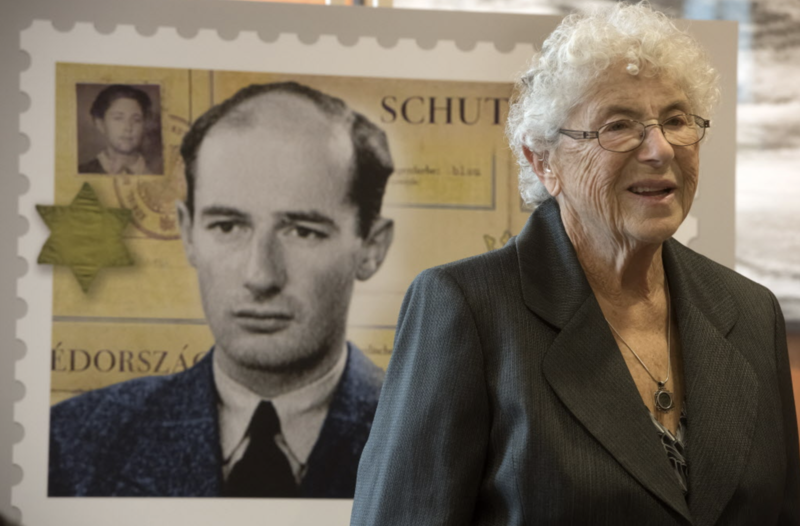 It was complete serendipity that Judith's daughter Ann bought a set of the Wallenberg commemorative stamps when they were publicly released in Canada, "throwing them into her purse and only looking at them the next day." When she told her mother that her Schutzpass had found its way onto the stamp, Judith was exceedingly honoured and humbled to find herself on both the Swedish and Canadian stamps with her hero, Mr. Wallenberg.